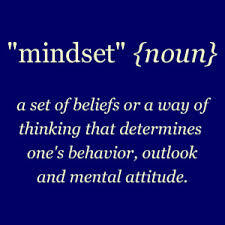 There are two types of mindsets that people possess. One believes that we are born with our talents and abilities innate. That these were doled out at birth and that they are what they are. The other mindset believes that intelligence and ability are able to be developed, it believes that through directed effort improvement can be achieved. The first type of mindset is known as a fixed mindset. It’s what most people grow up to be conditioned to be. It’s what is presented in our school systems and in the vast majority of homes. It fears failure. It fears pushing beyond the comfort zones. It keeps us feeling safe. Growth mindset is found in a smaller subset of people who have a vastly different experience with fears, failures, and comfort zones. This post is the first in a four part series dedicated to diving into the growth mindset and the fixed mindset, the difference between them and how you can cross from a fixed mindset to a growth mindset. I’ll show you the shift in mindset with examples from my own life and how that has led to some of great accomplishments in this world. I want to introduce the two mindsets by looking at an experience that we can all relate to: school. School is a great example to show the difference between fixed and growth mindsets. In school we all had the experience of homework, quizzes, and tests. Because there are A students, F students, and everywhere in between we know that the results we experience vary across a wide spectrum. In school some would argue that the results are important. What was your GPA? What is your degree in? What did you learn? Some would argue that while those things are certainly important, they are not the truly important things to measure. The parents who are involved with their student’s education and have a fixed mindset are going to be the people who place utmost importance on grades and academic achievement. They are the folks are going to be happy that Johnny brought home an A on his math test. They are also the people that are going to be disappointed in Johnny if he brings home a D. The fixed mindset operates in binary: the result is either good or it’s not good enough. The results are all that matter. Contrast that with a growth mindset family. Same family, same student, same scenario. However instead of Melissa immediately getting grounded for bringing home a D or getting praise and her report card hung on the refrigerator when she brings home a 4.0, this family looks at the result and then asks about the process. The growth mindset looks at things that are within their control and asks things like "Did I do everything I could do to reach my desired outcome?" A student with a growth mindset when getting the results of an exam might ask questions like "Did I study adequately?" "Did I ask questions in class to make sure I understood the material?" "Did I do everything I could do to ensure I was able to learn the material and perform well on the exam?" In short, the student with a growth mindset will look at the things that they are able to control, such as their effort, and determine whether or not they were successful. The growth mindset is more concerned about putting forth the effort that is required to reach the outcome than the outcome itself. They are focused on process goals in addition to outcome goals. There’s a difference between these two families. One focuses only on the output; the result. The other focuses on the inputs that led to the results. The two mindsets have different values. Fixed values output. Growth values input. The reason is that the fixed hold the belief that output is final. The growth hold the belief that the output isn’t defining. Growth believe that outputs are feedback. They are a barometer for performance right now. They believe that they can improve by looking at the results as feedback and opportunities to improve. The fixed, on the other hand, view outputs as labels. You either have “it” or you don’t. Think back to how you experienced school. Did you break down the reasons for you earned the grades you earned? Or did you simply receive praise or punishment based on the letters and numbers on your grades? What did a poor grade mean to you? Did it mean you were dumb? That you didn’t get it? That you were a poor student? Or did it mean that you needed to learn how to prepare better? Was it a time to reassess your study habits? Did it mean you needed to talk to the teacher or professor one on one? Are you ready to create a growth mindset in yourself? Having the intellectual knowledge is the foundation. The magic happens when you begin applying it in your daily life. ← Six words to stop saying to develop a growth mindset.